Almost 50 years ago, MAKO® Boats made its mark on the saltwater fishing world with the introduction of a line of boats crafted with care, concern and top-of-the-line equipment, all geared toward saltwater anglers. Fishermen lauded their smooth, dry rides, durable construction and amazing lists of fishing features, as well as the ability to provide a stable, safe fishing platform in the toughest of conditions. Through the years, MAKO has continued to build upon that legacy. Using real world experiences and research, as well as regular feedback from boat owners, processes have been refined, features updated and layouts redesigned to cater to the ever-changing needs of saltwater anglers. MAKO has even brought the well-known offshore boat quality to inshore and freshwater anglers in a variety of models. Ranging from 16- to 41-feet (4.88 m to 12.5 m) long, today’s lineup consists of a wide range of models designed for a wide variety of uses. From redfish to marlin to bass, whatever your quarry, MAKO has a boat that will get you to it! Each center console model comes standard with a baitwell, storage areas, rod holders and more to ensure your MAKO boat will always be your most valuable and trusted fishing partner. Always enabling and aiding, and never inhibiting, your own fishing abilities. Check out the inshore flats, coastal bays and bluewater ports. Talk to proud MAKO owners still fishing from boats that are as old as the company itself. 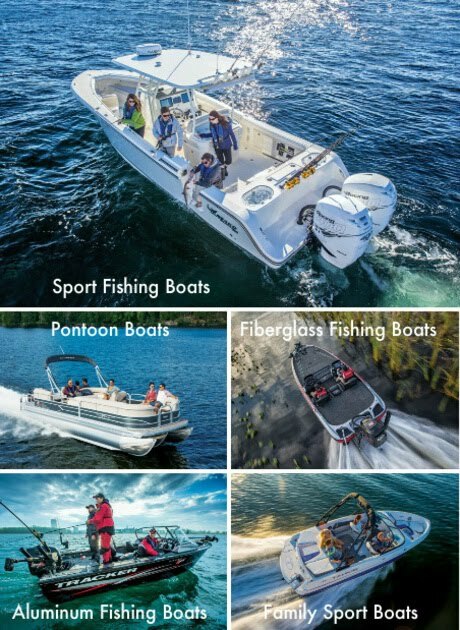 And you’ll quickly realize exactly why MAKO Boats has held its reputation of providing the most rugged boats around for nearly half a century.